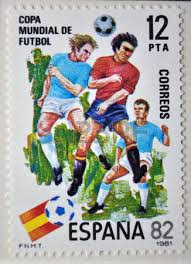 Fourteen cities and 17 stadia were selected but the majority of games were played in Madrid (Santiago Bernabéu and Vicente Calderón); and Barcelona (Camp Nou stadium and the Sarria Stadium ). To avoid hot temperatures of Spain’s summer most matches were played in the late afternoon. Nearly two miliion (1,856,277) people attended the games with an average gate of 35,698 spectators. 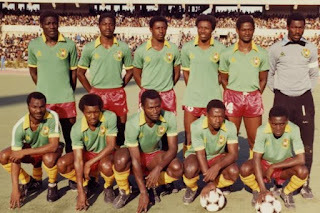 A total of 109 teams entered the 1982 FIFA World Cup TM qualification rounds competing for a total of 24 spots in the final tournament. 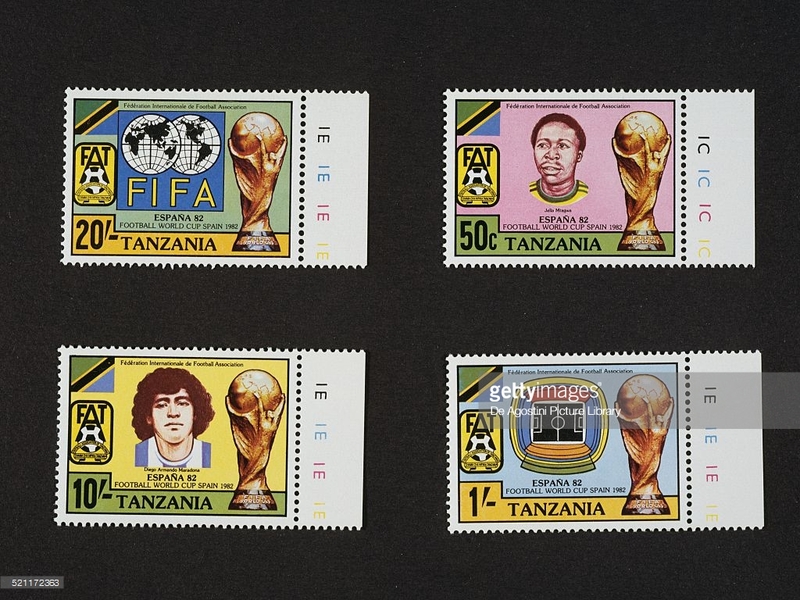 For the first time, the World Cup finals expanded from 16 to 24 teams which allowed more teams to participate, especially from Africa and Asia. 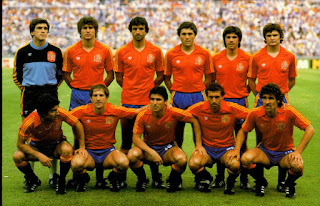 The host country Spain and defending champions Argentine were eventually joined by: El Salvador , Brazil , Chile , Peru, Austria, Belgium, Czechoslovakia, France, Hungary , Italy , Poland , Soviet Union, West Germany and Yugoslavia For the very first time three of the Home Countries were represented at the same World Cup: England, Scotland and Northern Ireland. All three had previously qualified but never together. Hostilities with Argentina over the Falkland Islands did cause some political tension but after due consideration the counties from the United Kingdom did not withdraw. 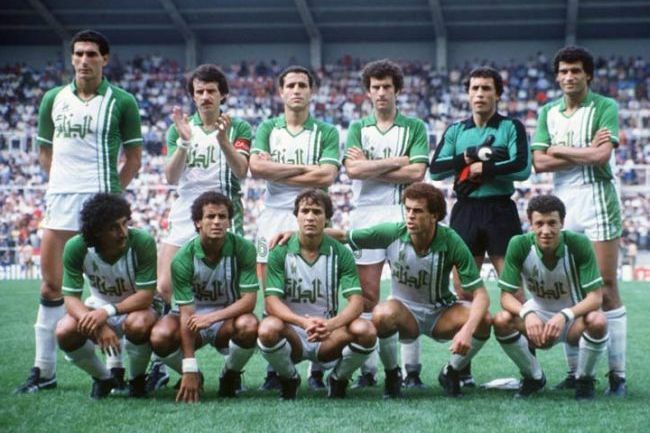 Algeria, Cameroon, Honduras, Kuwait, and New Zealand all participated in the World Cup for the first time. 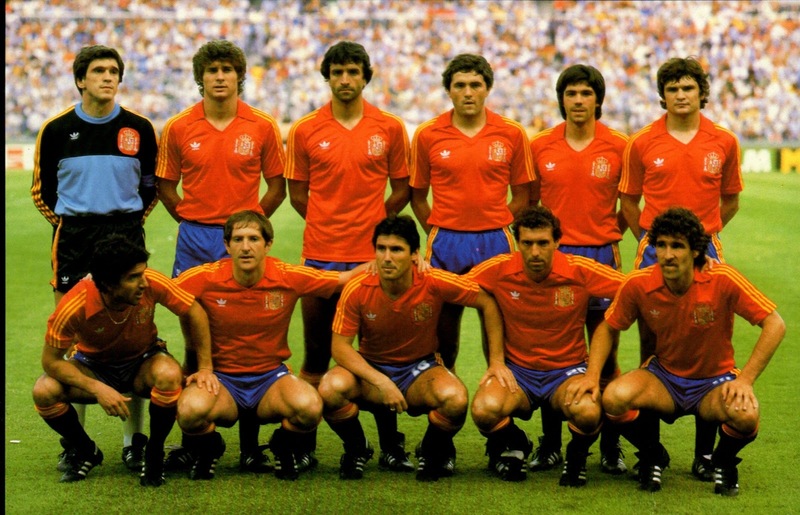 The official mascot of the 1983 FIFA World Cup TM was Naranjito, an orange, wearing the kit of the national team. 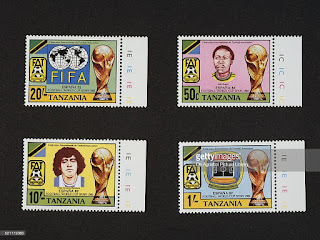 More countries issued World Cup themed postal stamps as the popularity of the competition became global . The qualifying teams were divided into six groups of four, two points were awarded for a win and one for a draw, with goal difference used to separate teams equal on points. The top two teams in each group went through to the second round. 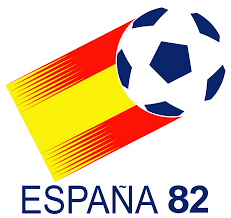 Six teams were seeded: Italy (Group 1) , West Germany (Group 2), reigning champions Argentina (Group 3), England (Group 4), hosts Spain (Group 5), and Brazil (Group 6). The first round had several upsets including Italy being held to draws with Cameroon and Poland. Poland and Italy eventually qualified over Cameroon and Peru. 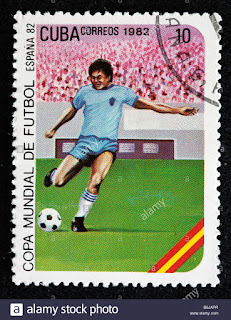 The opening match at the Camp Nou Diego in front of 95000 spectators was between Belgium and Argentina. 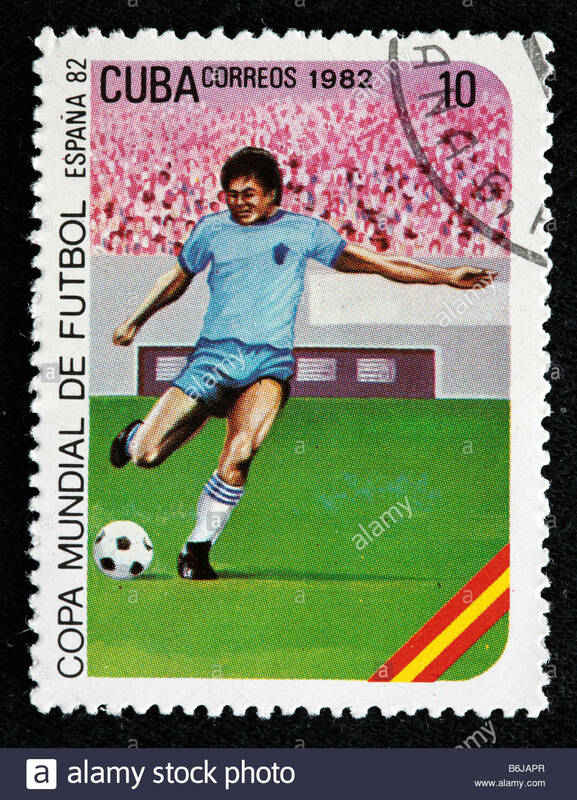 The young, Diego Armando Maradona (22), was the main attraction but Argentinian were upset when Erwin Vandenbergh scored for Belgium in the 62nd minute. In Group 2, West Germany were beaten by Algeria, but later despite allegations of match fixing, West Germany and Austria went through to the second round. Group 3, despite a 10 -1 drubbing of El Salvador by Hungary. This is the only time in the world cup finals to date where the goals went into double figures in a single match. Argentina and Belgium ultimately advanced to the next round. 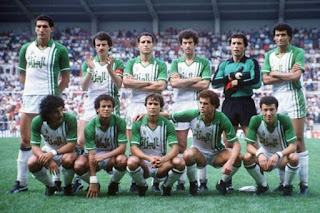 During the game between France and Kuwait in Group 4, after Alain Giresse scored a goal for France it was vehemently contested by the Kuwait team. Apparently the Kuwaities had stopped play after mistaking a whistle from the crowd as the referee’s whistle, and this ended in the goal being scored. Before play could restart, the president of the Kuwaiti Football Association Sheikh Fahad Al-Ahmed Al-Jaber Al-Sabah, ran onto the pitch to remonstrate with the referee. 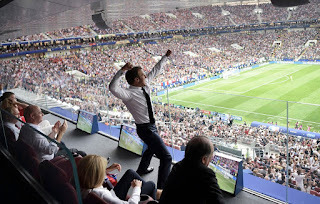 To the fury of the French, the referee disallowed the goal, In the end the French won 4–1 and joined in the final stages. 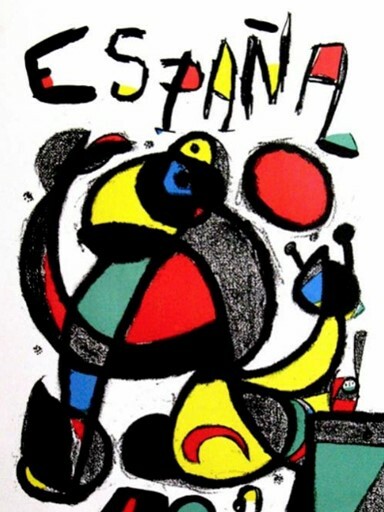 Spain were held to a draw by Honduras and beaten 1 -0 by Northern Ireland in Group 5. They were joined by Northern Ireland in the next stage. Norman Whiteside (NI) at age 17. was the youngest player to appear in a World Cup match. In Group 6, Scotland despite recording another team song, were again eliminated on goal difference and lost out to Soviet Union who joined the all-conquering Brazil in the next round. The second round of matches (four 3-way round-robin groups), were confined to one stadium in one of Spain's two largest cities: two in Madrid (Santiago Bernabeu and Vicente Calderon stadiums) for Groups A & C: and two in Barcelona (Camp Nou and Sarria Stadium) for Groups B and D. Teams were ranked according to the greatest number of points and goal difference in all group matches. This was combined with the number of goals scored in all group matches and whether the team finished first or second in their first-round group. In Group A, Poland edged out the USSR for the semi-final spot. 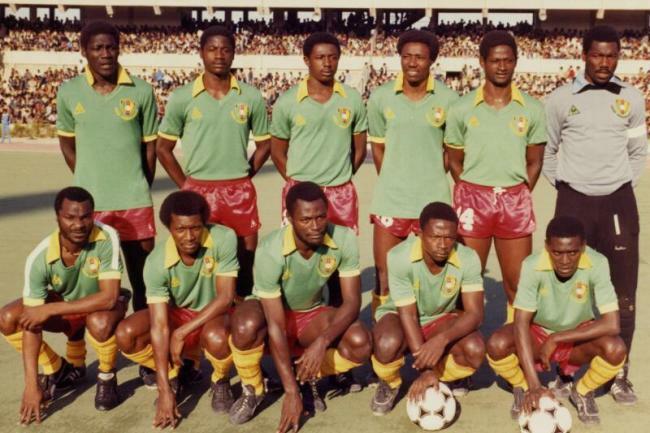 England and Cameroon were eliminated without losing a game in Group B, West Germany went through. 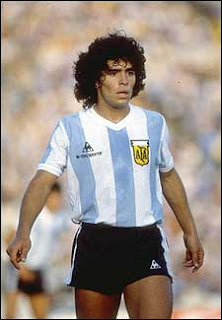 In Group C, Diego Maradona was given a red card for kicking João Batista (Brazil) but it was Italy that advanced to the semi-final. After France beat Austria 1–0 and Northern Ireland 4–1 they reached the first semi-final from Group D.
The two semi-final matches were held at Camp Nou, Barcelona and the Pizjuan Stadium in Seville. Italy beat Poland and West Germany beat France drew 3 all at full time. 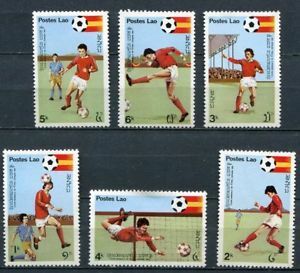 The match ended in penalties, first the first time at World Cup finals. 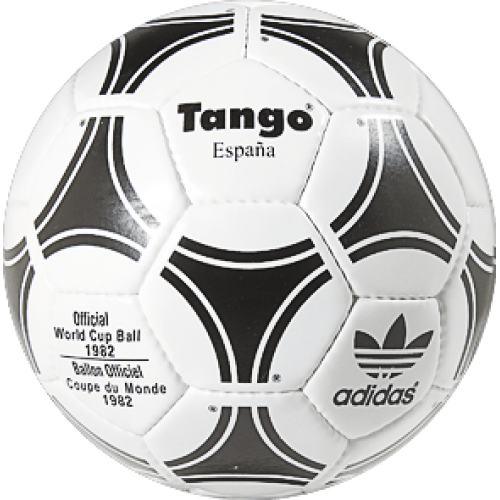 West Germany won Germany to the World Cup final yet again with a victory 5 - 4. 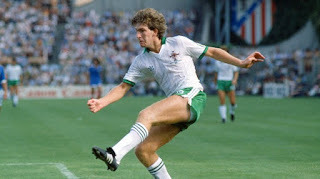 The game was controversial after the German keeper Harald Schumacher's challenged Patrick Battiston (France) when he broke through. It appeared to all but the referee, Schumacher went for the man and not the ball. Patrick Battiston lay unconscious with a broken jaw and two of his teeth knocked out, but Schumacher escaped a red card. The final between Italy and West Germany was played at Santiago Bernabéuin Madrid, in front of 90,000 spectators. 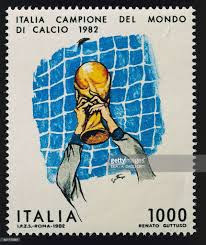 Italy, beat West Germany 3–1 and captain goal keeper, Dino Zoff (the oldest man to play in a final) lifted the 1982 FIFA World Cup TM. 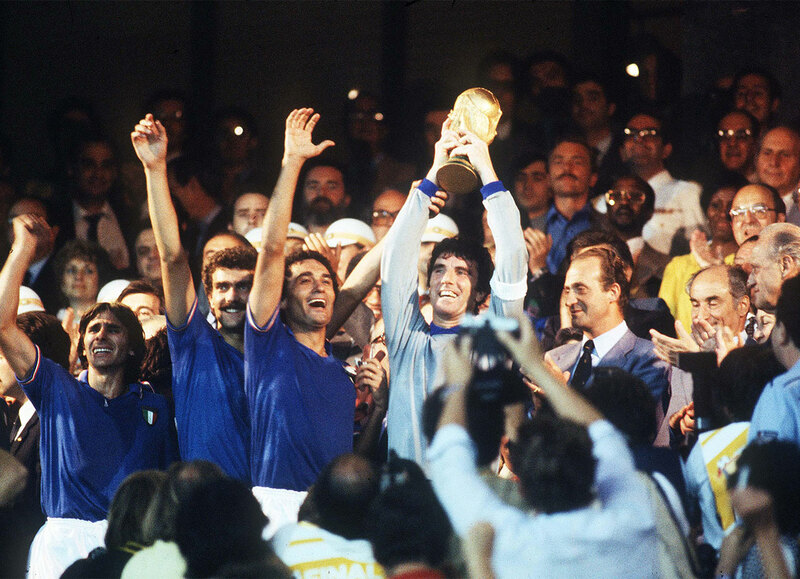 Italy now equalled Brazil's record of winning the World Cup three times. Alessandro Altobelli (Italy) became the first substitute player to score in the final. Teammate, Paolo Rossi (Italy), scored six goals including a classic hat-trick against Brazil to win the top scorer of the competition. 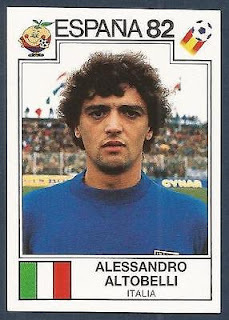 Prior to the tournament, Rossi had been embroiled in a match-fixing scandal and ban which was subsequently lifted to allow him to play for his country.